Since 1974 the experts at American Garage Door have provided the highest quality garage door sales, service, and repair. Whether you have new construction, or you are looking to replace your existing garage door, we provide new garage door installation at prices you can afford. We are an authorized dealer of Wayne Dalton, Amarr, and North West Doors. 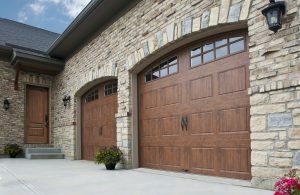 We also have an in-house master craftsman to create custom wood garage doors to fit any architectural style. Our professionals will help you make a decision based on your needs and your budget. In addition to new garage door installation, we also sell and service garage door openers and commercial overhead doors. Dedicated to providing the best customer service and workmanship in the industry, when it’s time for new garage door installation, call our professionals today.